We all accumulate unprocessed, or “stuck,” energy as we go through life. It’s really a part of life, and it’s normal. Emotional energy can become stuck in our bodies when things happen to us that we can’t fully process at the time. It can be something big and traumatic, something seemingly small and insignificant, or anything in between. Even rushing around a lot creates what I refer to as “hurry energy”, which doesn’t process through our systems very easily. Having unprocessed energy never means there’s something wrong with you. It only means you’re human and living on Earth. 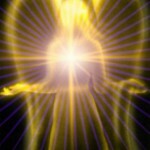 Unprocessed energy holds us in the place we were in when the emotional energy was first created in our bodies. It is stored in our cells until we clear it in some way. We create beliefs related to most unprocessed energy that we store. Each time a life situation creates a similar emotion in us, we will trigger in that same emotional energy pattern and all the beliefs we hold around it. And that keeps us stuck because it reinforces the beliefs we hold, even if they no longer work for us or hold true. It can be nearly impossible to change old patterns and beliefs without clearing the unprocessed energy that supports them. Every cell in your body holds this belief and feels it is important to your survival, based on the emotional energy signals that it receives from you. To shift your behavior patterns and your beliefs, you have to first clear your energy. Then you have to make a habit of keeping it clear. Clearing your energy allows the cells in your body to let go of that old information and make way for new information to come in. It’s possible that this is one of the reasons that people who practice daily self-Reiki or receive regular Reiki treatments find old habits falling away, their lives changing for the better, and their beliefs evolving and expanding. As they clear their energy systems regularly, perhaps they are making way for new pathways to form as the old and unprocessed energy leaves their systems. There are lots of ways to clear energy, most of them provided to us naturally. Fresh air and sunshine do a lot for us, as do exercise and movement. Taking a walk outdoors is a natural way to clear energy. Yoga or deep breathing exercises, also called pranayama, are very helpful. Even shaking our bodies, as we sometimes do in dance, clear energy and opens pathways. Meditation naturally clears energy. We also have the tools of EFT, flower essences, and crystals. Of course, Reiki is a big help and having regular treatments, or doing a few minutes of self-Reiki each day really goes a long way to keeping the energy channels clear and open. With all these options, it’s pretty easy to make clearing your energy something you do over the course of your day. Regularly clearing our unprocessed energy helps us to feel healthier and happier. It allows space for old pathways and beliefs to shift and for new ones to open up, so we continue to evolve, both mentally and spiritually.